Sony BDP-S6500 is a user friendly Blu-Ray player and an improved version of its predecessor BDP-S6200. It lets users enjoy almost all premium features like network streaming, built in Wi-Fi and 4K upscaling. BDP-S6500 can also support 3D disc playbacks and provides easy access to streaming services via its efficient Wi-Fi connectivity. As there are so many competitors around so it is good to make detailed analysis about how this player can be beneficial for you. It is designed to offer impressive image quality. User friendly and slick operating system. It can easily play MKV as well as FLAC media files over network. It is a pedestrian design. Catch Up TV apps are not present. This top end player has been designed to offer wide range of features where headliner is the customized 4K upscaling. It boosts Blu-Ray abilities and brings online content up to desired UHD resolution so that it can be easily played on compatible TV. Its super Wi-Fi connection makes use of a Multi-antenna type design where chip module assists to maximum strength of the signal so the streaming can go much smoothly. 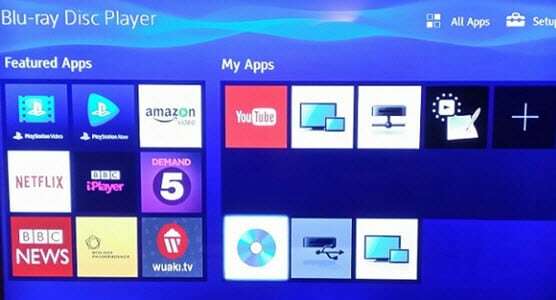 Once your device gets connected to internet then it is possible to access wide range of streaming applications like PlayStation Video, Facebook, BBD Sports, BBC News, Demand 5, YouTube, Amazon Instant Video, Netflix and BBC Player. The DLNA compatibility of the Blu-Ray player allows users to enjoy streaming of photos, music and videos from NAS drivers or from PCs directly to home network. The playable format range is really impressive as it can easily handle the high resolution type files like FLAC and MKV etc. Users can also play AVCHD, XviD, WAV, AAC, WMA, MP3 etc. All these formats are also supported for USB type connection. Sony BDP-S6500 offers impressive 3D playback along with Super Audio CD connectivity and further it extends support to screen mirroring, DTS HD Master Audio Support and Dolby True HD. Screen Mirroring ability makes it capable enough to process videos and games from smartphones. IP content type noise reduction feature assists in contrast improvement while adjusting colour definition and texture effects to make streamed content more impressive for viewers. Users can make easy adjustments between three film and video settings to avail customized results. Design terms are almost similar to lower tier models but the impressive improvement is metal type casing that means you are going to get something heavier for your money. It is a simple black box that rarely receives any complement about its appearance. The overall dimensions of Sony BDP-S6500 are 255x192x39 mm that means it is fairly compact and you can easily find place for your storage at your tiny apartment. Most of the device connections are available at rear portion where the list includes HDMI 4.1 output, LAN port and a coaxial digital audio. Sony BDP-S6500 also possess a built in Wi-Fi capability with 2.4 GHz frequency range. Front portion of the player contains one USB port that can be used to play content from external world. This Blu-ray player comes with a lightweight remote control that possesses easy to use buttons with well spaced arrangements. You will also find one dedicated button for launching Netflix whereas another one helps to access your favourite apps at one touch. It contains the routine set of keys along with have well defined place for pause and stop buttons. The user interface appears basic with few app icons like BBC Sports etc. It’s simple and intuitive design make it easier for navigation even for those who are using Blu-ray player for very first time. The top right hand side corner consists of settings menu that you can access for adjusting customization needs, however, most of the default settings are good enough to generate stunning results. In case if you are thinking to play 3D content on this player then it is good to enter your specific TV screen size into settings so that perfect coverage can be achieved. The well designed dual core processor makes its operating speed faster enough whereas the Quick Start Mode assists in efficient boots so that player can start within less than half second. Note that, Quick Start mode uses more power in standby whenever it is activated. Disc loading response is also faster where your Blu-Ray player takes only 15 to 20 seconds to get started. When test was conducted on its picture quality then most of the movies were played well with fine details of every scene. This deck performs a great job for colour adjustments on screen whereas camera pans and moving objects use to be smooth. Sony BDP-S6500 can also accommodate low video quality content with ease due to its upscaling capability. The Upscaled DVD pictures use to be impressive enough with solid contrasts and it makes finer adjustments for artefacts. One more interesting area to talk about is the standard definition playback and impressively, Sony BDP-S6500 possesses classic upscaling technology that makes everything acceptable on screen. There is no doubt to say that Sony BDP-S6500 has ensures remarkable entry to the Blu-Ray world with its classic set of features. It can be used to handle DVD content easily where all details are observed to be of high quality, sharp details and crisp information. TV shows are played here with correct frame rates. If you are thinking to use this player for your video streaming needs then ultra HD like 4K details will reflect on stage. 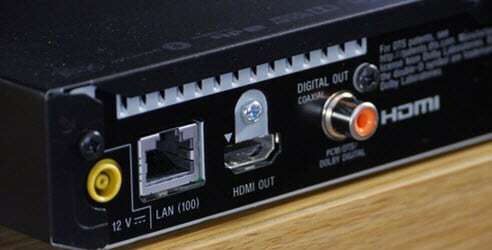 The streaming capabilities of Sony BDP-S6500 are comparable to many high end models like Panasonic, Samsung, LG etc. Users on this high quality Blu-Ray player can enjoy wide range of streaming apps and digital file formats whereas the dual core CPU makes processing faster. In simple words, BDP-S6500 is an efficient mid range choice for buyers with easy access to all incredible features that you may need on the go. It is time to order your device soon and start enjoying high quality streaming with playback.